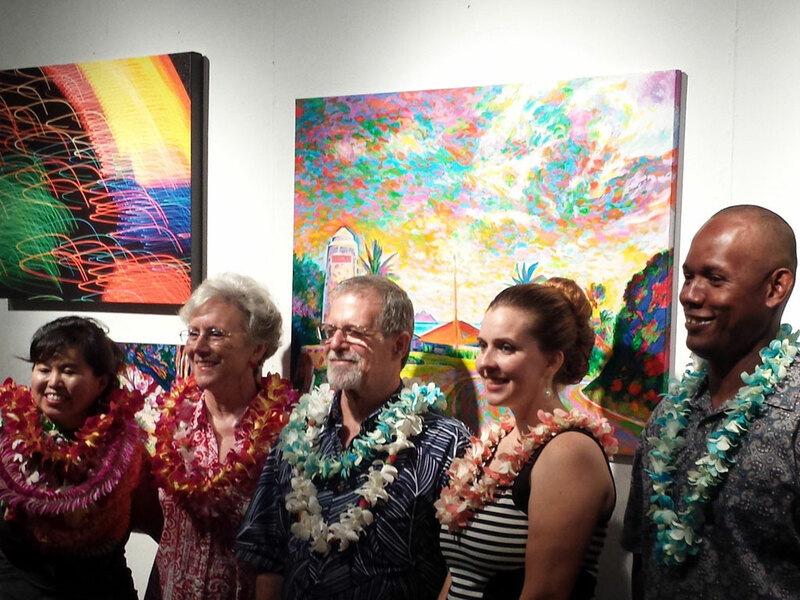 I was pleasantly surprised and honored to receive third place in the Fall Windward Artists Guild Show at Hoomaluhia. My painting, Maunawili, a 20X24 oil painting was awarded the prize. I was truly touched to receive the recognition, especially considering the level of talent present in the show! I would like to thank everyone who attended the reception yesterday, and all the members of WAG that helped put the show together. It was a lovely evening! 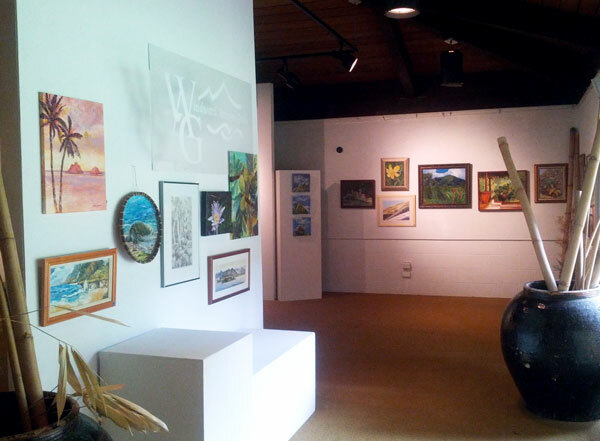 The show will continue to be displayed at the Hoomaluhia Botanical Garden’s gallery (near the Visitor’s Center) until October 26, 2013. Plan some extra time to wander the inspiring gardens while you’re there. It’s absolutely breathtaking! The incredible array of plants are planted along miles of trails on acres of land in several zones, organized by their region of origin. There is a large pond filled with vibrant orange fish and various water birds. Picnic tables are situated throughout the park that are perfect for eating breakfast or lunch (the park is open 9am – 4pm daily – you will need to bring your own food if you want to have a picnic). All this beauty is nestled at the foot of the Koolau Mountain chain, which offers impressive views of the sheer mountain cliffs, and some amazing perches on high ground with a commanding view from the mountain to the ocean, and from Kualoa/Chinaman’s Hat all the way to Olomana. Currently I have two pieces, Maunawili, and Lotuses & Lilies in the Fall 2013 Windward Artist’s Guild show at the gallery at Hoomaluhia Botanical Gardens (at the end of Luluku Road in Kaneohe). The gallery is located near the visitor’s center. The show is up and will run until October 26th, I am planning to attend the opening reception for the show on Sunday, October 13 from 4 – 6 pm. Hope to see you there!